It’s Nippy! Must Be Knitting Time. It’s that time of year when I prefer the comfort of a big, warm, fluffy ball of wool and a pair of chunky needles to a cutting mat and some flimsy fabric. 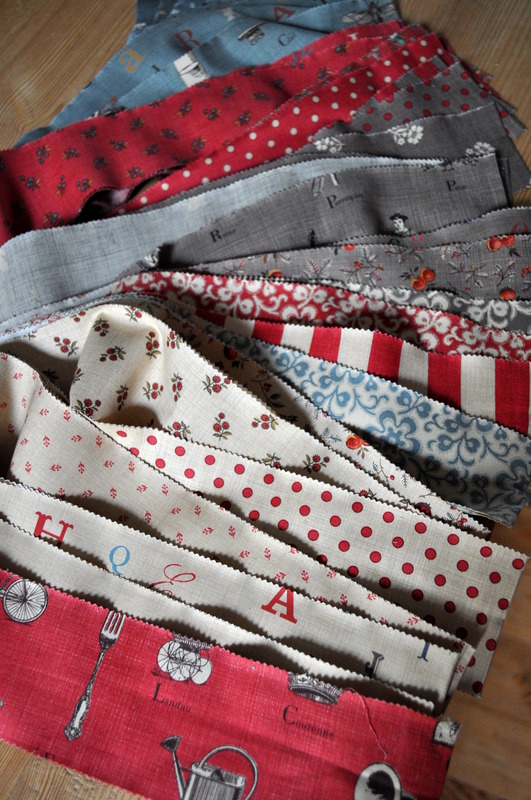 That’s not to say I have abandoned the sewing machine. I have the new Grainline sweatshirt pattern, ‘Linden’ and some french terry fabric ready to make something to keep me warm at the start of my yoga class. I also have Colette’s new Dahlia dress pattern for which I’m going to throw caution to the wind and try sewing with plaid again – they promise it’s an ideal pattern for plaid (no darts) and will hold my hand along the way which I will need after my last disastrous attempt. So I’m just awaiting a huge fabric delivery, praying Customs won’t punish me too much for ordering from the States, then I can get going on that. I also have a sort of 70s boho vibe top cut out and ready to go for Mlle Tialys the younger and just need to make or buy some bias binding and ribbon and I’ll be off. But, for the moment, I’m mainly in knitting mode. 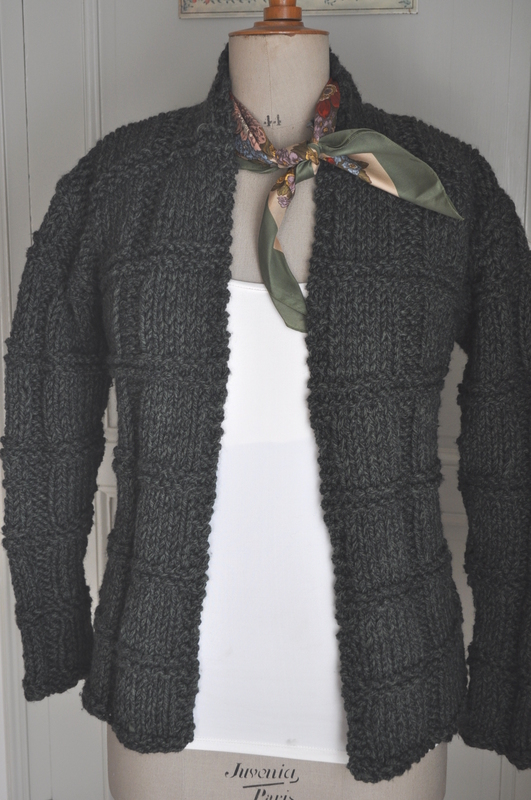 In a timely fashion for the temperature change we’ve just experienced – one day in swimming pool*, next day looking at snow on the mountains – I’ve just recently finished this jacket or short coat, as it is called on the pattern. This is Sirdar Pattern 8951 in Denim Ultra which is a joy to work with and also knits up quicker than you can say ‘I think I might actually wear this one’. My mum had made one for herself and I liked it, especially when I saw the size of the needles (10mm) and the rope like yarn. It’s definitely a quick fix knit. I was lucky enough to find somebody selling it for a fraction of the price but only in one colour – Laurel – which is a dark green with black fleck, although I know it looks grey in the photo. So an economical knit too. 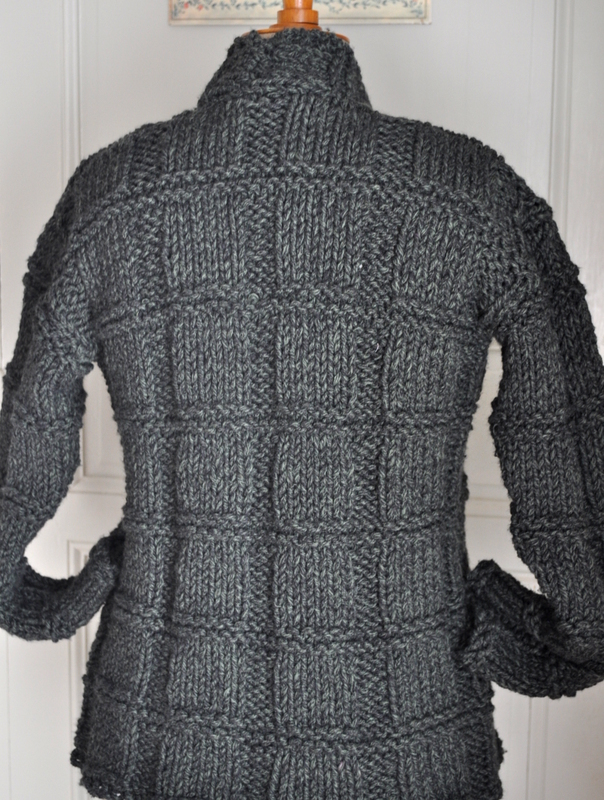 Here is the back but I confess that, true to form, I made an error right at the beginning by ignoring my usual insistence using cable cast on and following the pattern instructions to cast on using the thumb method. I’m sure there is a good reason to do this but, not being used to it, I cast on too loosely for the back and it stayed a bit ‘loopy’. When I took these photos I hadn’t fixed it but now I have by weaving a length of yarn along the cast on edge at the back to neaten it up. The reason it is on the mannequin instead of me, by the way, is because it was bloomin’ hot on the day I took the photos and I usually relish any excuse not to photograph myself plus my mannequin carries off a jaunty silk scarf much better than me. 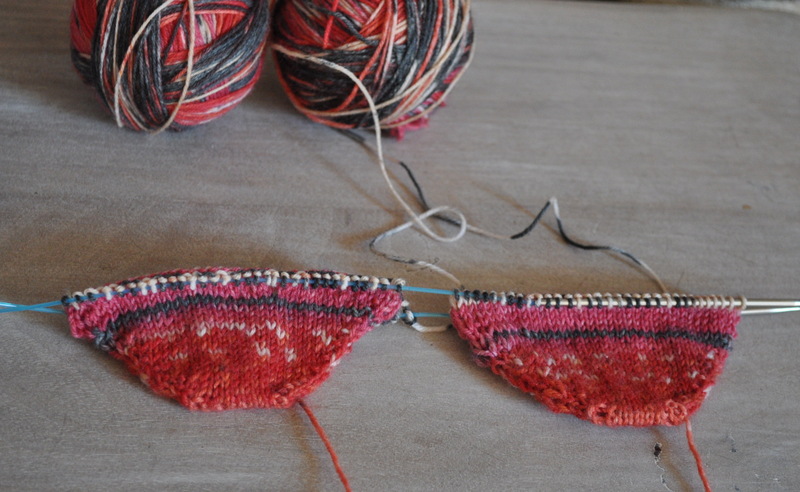 Before I start my next project, I must must must – I really must – finish my socks I started back at the beginning of the year and then abandoned (or hibernated, as they call it on Ravelry) . Remember these? My two at a time, toe up, striped socks using the tutorial from Heidi Bears. Well they are now past the heel and halfway up my leg so another couple of evenings will have them finished but, until then, I am not going to cast on for this pattern called ‘Shale’ from Kim Hargreaves book ‘Storm’. 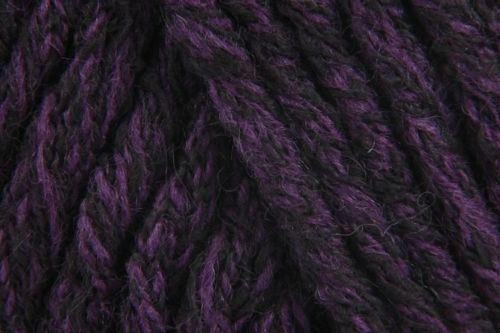 which is Sirdar Denim Ultra again, in Blackberry, and I’m going to use it instead of Rowan Big Wool which is what is used in the pattern. It is half the price and, after reading some negative reviews on Ravelry about the Rowan yarn, might be a better choice anyway. I’ve knitted a swatch and I think, by going down a needle size, I can make it work. But first, I have a pair of stripy socks to finish. Sometimes I wonder why I bother knitting anything. I enjoy the actual process but I very rarely end up wearing anything I knit outside of the house. 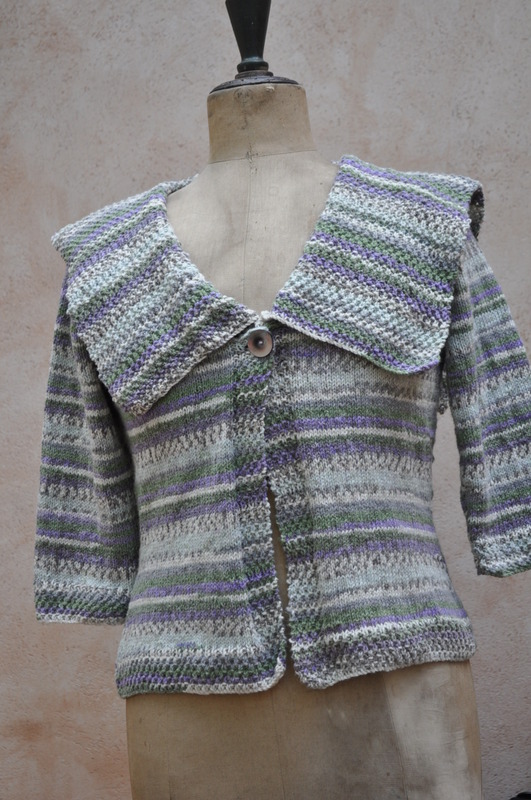 For example, I’ve just finished this jacket. I love the effect of the yarn and the colours. I quite like the front view. But I know for a fact I won’t be walking outside of my front door sporting that sailor collar. Not that I don’t think it’s quite a good design feature. Not that I haven’t seen photos of other people’s sailor collars and quite liked them. It’s just not me. 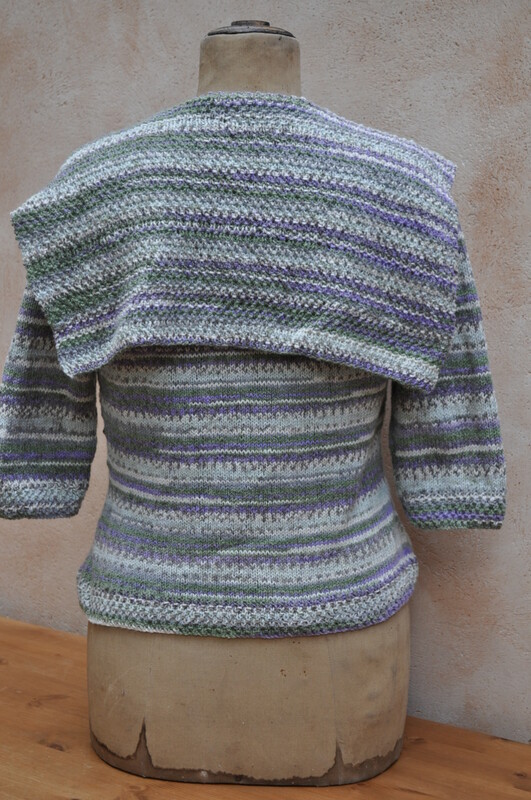 So, as with most of my hand knitted garments – I’ll probably just wear it around the house. The dogs won’t judge my choice of pattern. This, I say, just as I’m about to cast on for my knitted cardigan as part of the Outfit Along which starts today. Oh well – it stops me from falling asleep in front of a film in the evenings. 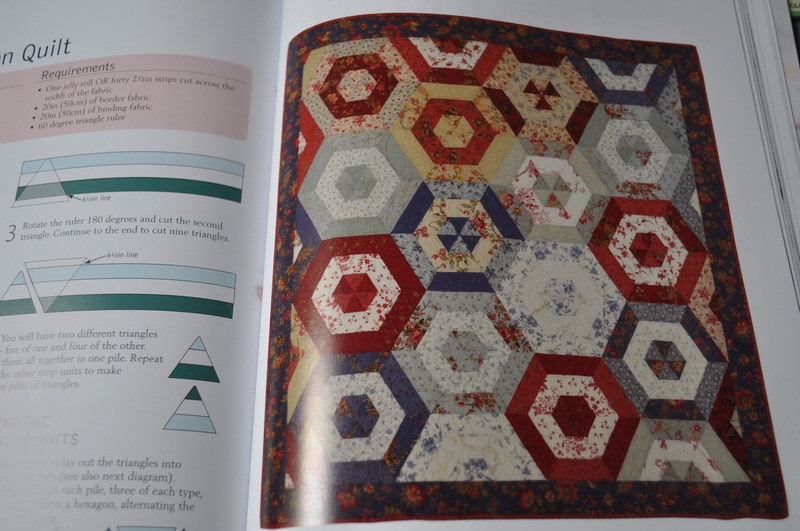 Not part of the Outfit Along, obviously, but I will have some time to fit in another project or two and I’ve decided it’s been far too long since I’ve made a quilt. I owe a friend a gift. 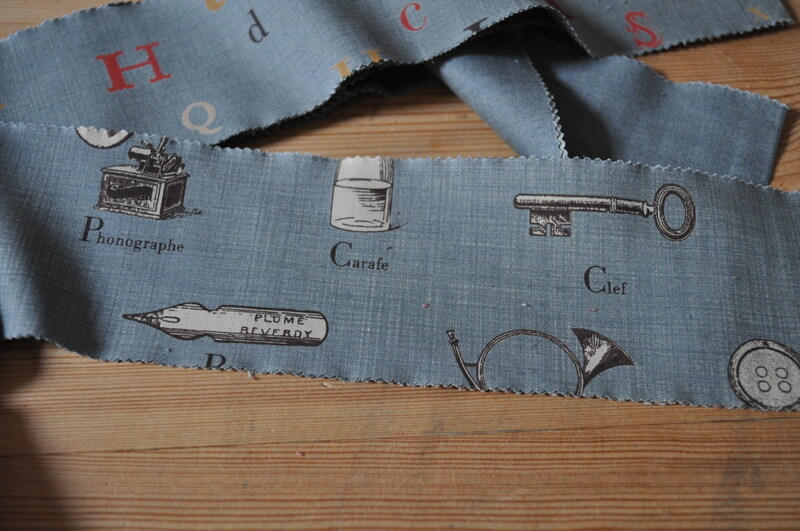 I had this jelly roll from Moda and it’s called La Petite Ecole from the French General range. I know the colours aren’t bright and breezy but I rather like that sometimes and this blue matches some of the paintwork in her house. I think my friend will like it – if I can part with it that is! 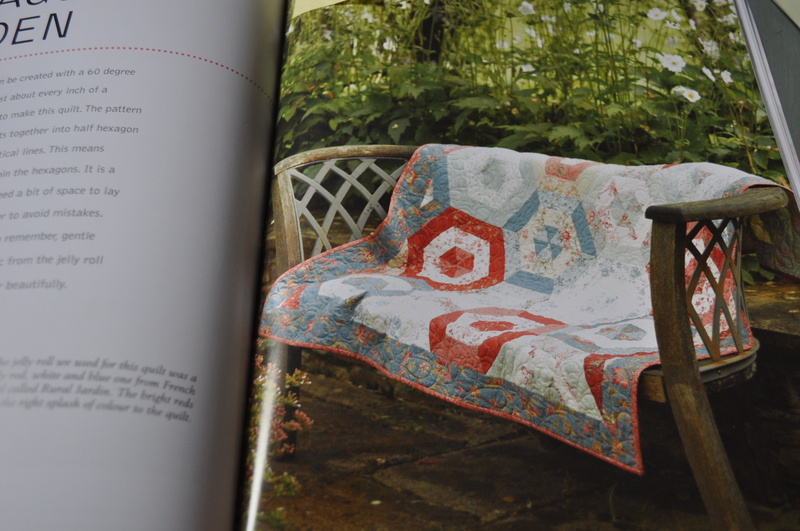 I’m already envisaging it artfully draped over my own garden bench. Now I’m off to cast on the stitches for another ‘wearing for the dogs’ benefit’ jumper. Do you knit (or crochet or sew) and not wear? Is it the process rather than the finished article that does it for you? Do tell!